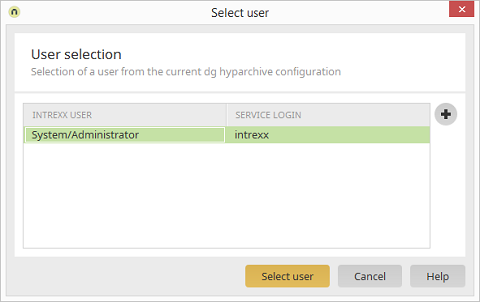 The path and username of the Intrexx user from the dg hyparchive configuration is shown here. Service login which was assigned in the dg hyparchive configuration. Opens a dialog where a new user can be created.